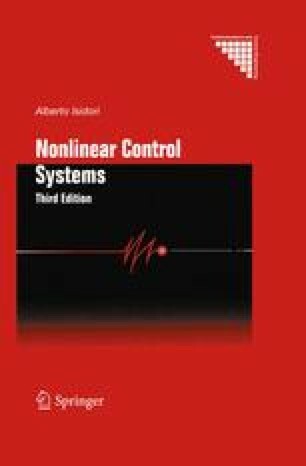 In this Chapter we shall see how the theory developed for single-input single output systems can be extended to nonlinear systems having many inputs and many outputs. In particular, in the first three sections we shall consider a special class of multivariable nonlinear systems, those for which there is a meaningful multivariable analogue of the notion of relative degree. For these systems it is an easy matter to extend — in a straightforward way — most of the design procedures illustrated in Chapter 4. Then, in section 5.4, we shall proceed to the study of more general classes of multivariable systems. In order to avoid unnecessary complications, we shall restrict our analysis to the consideration of systems having the same number m of input and output channels. Occasionally, we shall specify how the results should be adapted in order to include systems having a different number of inputs and outputs.